The Canadian Army was present in and around Invergordon during WW2. My father Joe Mckinnon was in the Canadian Forestry Corp. He was stationed at Lamington-by-Tain and headquartered at Balnagown Castle. He met and married my mother in Invergordon. My mother was Joan Dunn, the youngest child of Farquhar (Fackie) and Annie Dunn of Outram Street Invergordon, where I was born. Margaret and Harry O'Neill are my cousins. 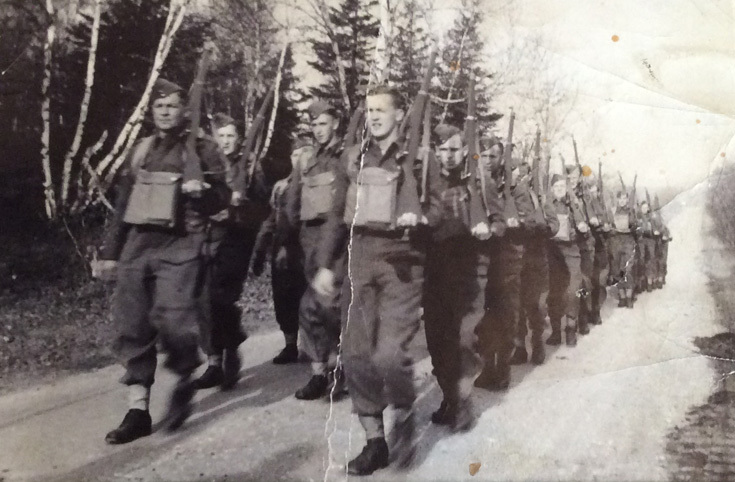 This picture shows my father training for WWll in Val Cartier, Quebec, Canada.